Pour rich, fresh-brewed coffee into this pair of Wolferman's signature mugs. Toast to a new day with these solid, stoneware mugs decorated with hand-painting and a logo representing the best in gourmet baked goods. These coffee mugs make a fabulous gift for the Wolferman's enthusiast on your list. 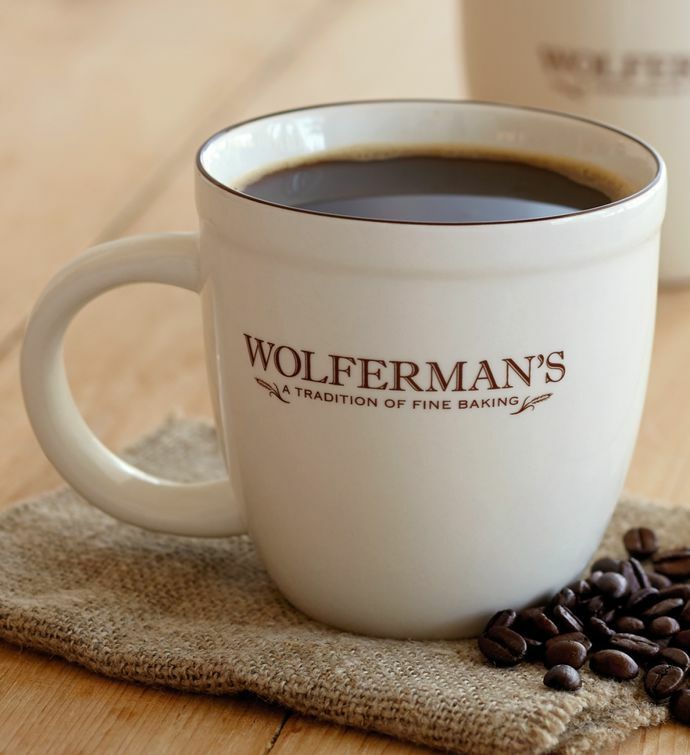 Or introduce someone special to some of your favorite bakery treats with a gift of coffee and a pair of these Wolferman's mugs. They are a gift that will last long after the last drop of coffee is gone.